This case raises a question that only a law professor or First Amendment obsessive would love: to what extent can a state regulate special license plates that promote the driver's personal or political agenda? 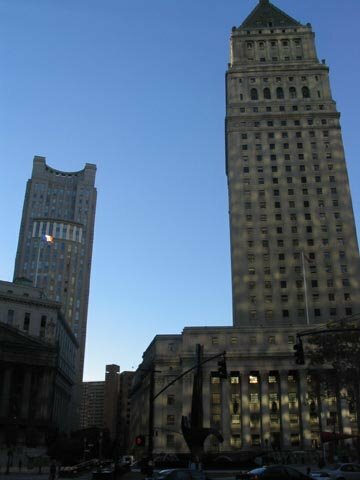 It took the Court of Appeals 2.5 years to reach a decision in this case, holding in a 2-1 vote that the State of New York can regulate this speech. The case is Children First Foundation v. Fiala, decided on May 22. (It was argued in December 2012). The state allows non-profit organizations to use custom license plates. Sometimes these plates are noncontroversial, like plates celebrating the Yankees or raising Autism awareness. And sometimes the plates are controversial, like the one in this case, which reads, Choose Life, sponsored by the Children First Foundation, which promotes adoption over abortion. The government-sponsored plates are a nonpublic forum, which means the DMV regulations governing them must be reasonable and viewpoint neutral. More broadly, the First Amendment requires that the regulations limit any discretionary decisionmaking by state officials in granting or denying specialty plate ideas. If the rules allow for discretionary decisionmaking, the risk is that someone might deny the application for political reasons. The Court of Appeals decides for the first time that "the unbridled discretion doctrine applies in the context of nonpublic forums." Under the regulations, no plate shall be issued that “is, in the discretion of the commissioner, obscene, lewd, lascivious, derogatory to a particular ethnic or other group, or patently offensive.” The Court says this is a discretionary and standardless rule. But we also consider pertinent agency policies and practices to see if the written test really allows for discretionary decisionmaking. In 1998, the DMV Commissioner said the State does not want to promote or display politically sensitive messages on license plates in order to prevent road rage and aggressive driving. The Court also says the State has uniformly applied this policy in other cases, like when someone wanted a "restore the Wolf" plate when a debate raged over whether to reintroduce this animal in the Adirondacks. The DMV also denied an "RU486" plate, which drew attention to birth control. The DMV’s policy does require interpretation and line drawing as to which subjects to exclude entirely, but that does not undermine the policy’s potency as a safeguard against the Commissioner’s exercise of unbridled discretion. Put another way, some discretion —particularly in a nonpublic forum, where “[s]electivity and discretion are some of the defining characteristics” of the forum —does not constitute unbridled discretion. After all, “perfect clarity and precise guidance” are not required. We conclude that the DMV’s policy of excluding completely controversial political and social issues—regardless of the particular viewpoint espoused—from the nonpublic forum of custom license plates, based on concerns pertaining to potential violence and the perception of state endorsement of the message, is sufficiently well‐established and has been uniformly enforced so as to render the Commissioner’s discretion adequately bridled. Judge Livingston issues a long dissent. This issue is not put to rest. The Supreme Court is taking up the same issue.